Drink Water Aquarium : Do you drink enough water? Do you forget drinking water regularly? This beautiful water reminder app will change that. Follow your daily water consumption with a filled virtual aquarium. 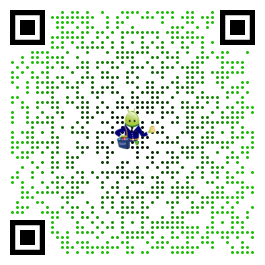 It has never been that much fun to reach your target. Get reminders to drink water and with every sip a fish dances for you! Over time, new fish will be added to motivate you further. 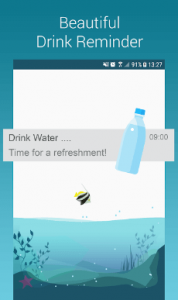 This water tracker app can be easily adapted to your needs and shows you all the past consumption in the water diary. So there’s no excuse for not keeping your water budget under control. Let’s go and drink water! Please consult a doctor to define your personal water drink target. I’m drinking more water because of this app. I really like this app because it def helps keep me on track. It is rewarding to watch yourself achieve your goal. The fish are super cute and the rewards help keep up the motivation. I like that reminders pop up so you never forget to keep yourself hydrated. Only had the app a few days, but I’m enjoying it. I’m definitely more mindful of drinking & logging it because of playing with the fish. Sometimes I down 20oz just to log a good amount & watch the fish get happy. I love the little gifts at the end of the day when I’ve done well drinking my water. And I love to play with the fish. The water gurgling is a pleasent reminder. I tried another app earlier and didn’t like it as well as this one. I would recommend this. A lot of fun and gets me to drink more water so I can earn fish and watch them swim. Just wish more would swim at once. Maybe I need to drink more for that… No help file so hard to know.